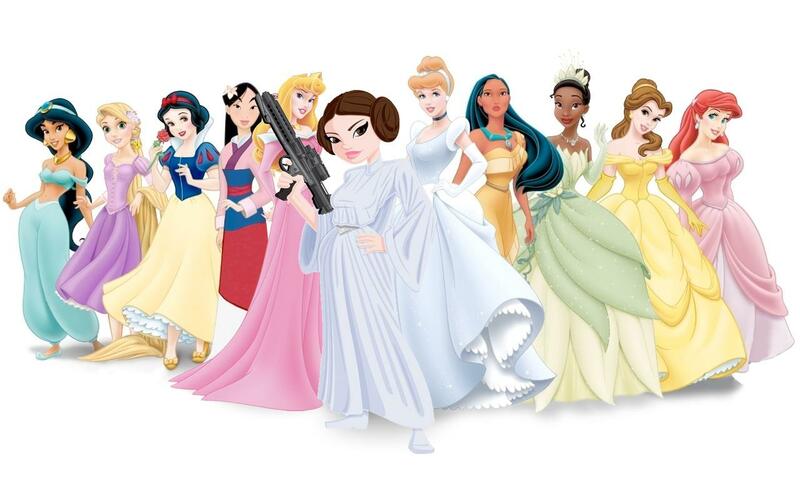 Star Wars clothes for girls has until now been a niche item, available only from niche online retailers. No longer. LEGO’s new Fusion line may meld real & digital worlds, but it still divides our boys & girls. 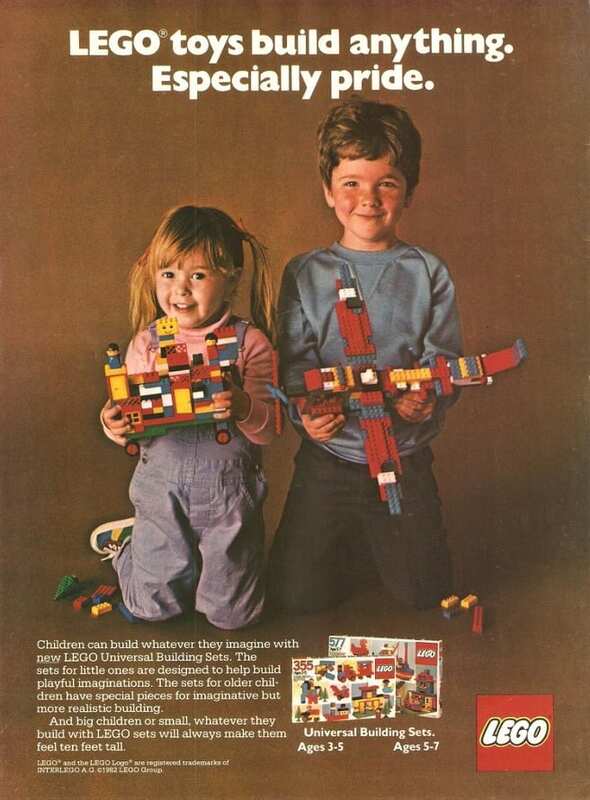 A LEGO ‘Universal Building Set’ ad from 1982, depicting a boy and girl playing together with the same LEGO. Crazy. I had high hopes when I was alerted to ‘LEGO Fusion’. It was the word ‘fusion’, the combining of two distinct entities into one, that piqued my interest. LEGO have rightly had a lot of flack for creating and marketing their product separately to boys and girls in recent years, especially given their history of previously being a universal toy. So would this new fusion line finally reunify the divided markets and be aimed at both? The word fusion also brings to mind various scientific processes and ideas, most notably nuclear fusion. Could this be a line linked specifically to STEM fields, in which female inclusion and engagement remains an ongoing issue. Turns out the ‘fusion’ aspect is the connection of physical building with virtual construction, in the form of smartphone & tablet apps and associated physical sets. The virtual aspect appears to be inspired partly by The Sims and Civilisation – but mostly by Minecraft, the open world virtual brick building phenomenon. LEGO have stated that they wish they had invented Minecraft. In fact, it was created by a games designer from the Danish toymaker’s Nordic neighbour Sweden. Minecraft also has a large number of female enthusiasts (though evidence suggests they may often not admit to being female, given how women are often treated in online & gaming circles – but that’s another issue!). So LEGO Fusion may not be the revolutionary science based line I imagined (I actually have no idea what that could be, but I was waiting to be dazzled), but still – it’s an innovation for the company to move its core product – bricks – into virtual space. Good for them. And it’s a concept clearly able to be enjoyed by boys and girls. But then I saw this promotional video for it. It effectively conveys the blending of virtual and actual space, focusing on a child exploring the worlds that the line consists of. First there’s Town Master, where you get to be a town planner/ruler. That’s followed by Battle Towers, a virtual war space where your constructed ‘Battle Tower’ has to fend off an enemy invasion. Then there’s Create & Race, where you build cars and race them. As ideas, they all look and sound pretty cool. But, there’s something important missing from the marketing hyperbole. Girls. Two girls are shown playing on the other side of the table from the boy. What are they doing – planning a town? Creating a battle tower? Engineering their own race car? The girls have their own app and set, within the gender ghetto of the LEGO Friends line. And what do the girls get to create in their fusion space? Their line is called Resort Designer, and they have to create… a dream beach resort. So rather than fusion, we have division & limitation. Physicist, oceanographer and broadcaster Dr. Helen Czerski memorably responded on Twitter to the LEGO Fusion ad with “Ick”. The whole reason advertising exists is that it works. If it can persuade us to part with our cash for a product, then it stands to reason that the reality it depicts is also convincing. There’s nothing stopping you – or I – from countering these messages ourselves to our kids, but we’ll never be able to fend them off entirely. The seed will be planted, that will potentially grow into deep rooted conviction that may see a girl choosing very early on in life not to embark on a life in science, technology, engineering or manufacturing, and may lead to an adult male choosing not employ a woman in one of these fields, because from childhood, without even realising it, they have learned that these areas are inherently male. I don’t think LEGO is evil, that it is trying to socially engineer a world where women are directed to a pastel coloured inconsequential cul-de-sac while the men take care of the important stuff. They’re just trying to sell their plastic bricks. But doing it by entrenching gender segregation, and limiting the life choices of our girls, is simply wrong. I can’t say it plainer than that. Imagine, if instead of gender, LEGO based their marketing around race. Imagine if the Fusion ads showed white people (as they do) playing with the Town, Racing, and Battle lines – and then depicted stereotyped minorities in and using sets based on sports, hospitality, or a factory? Imagine if they produced market research that showed that this was what the minorities in question wanted. That they were just supplying demand. It would rightly be labelled as racism. Back in the real world, my daughter will continue to play with her hand-me-down LEGO, that hails from the time when it was a universal toy. And maybe when LEGO pulls back on the gender based madness, we’ll hand over some real money for new LEGO. As long as it remains backwards compatible with the concept of universal building. The sold out, universally acclaimed, LEGO Ideas Research Institute. Hopefully not the last you’ll see of it. 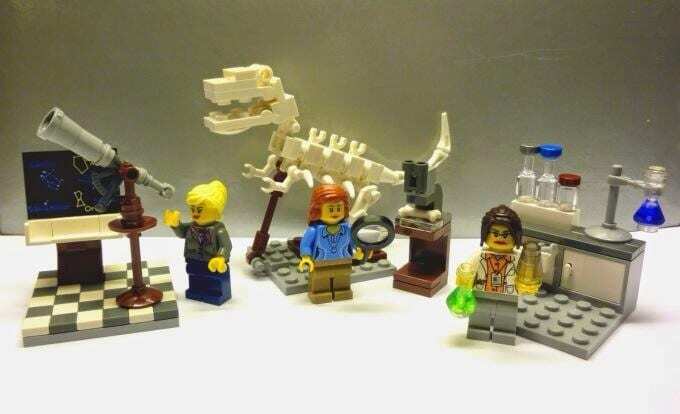 One set I would have parted cash with was their much heralded Female Scientist set. In a bad month of gender news for LEGO, they also revealed that this set, which I didn’t even get a chance to buy, is in fact a limited edition. Currently sold out, while LEGO have said they are going to release more stock, there is no indication that this means they will actually manufacture any more. If you – like me – think this obviously popular set should be mass produced, then please sign this petition created by Melissa Atkins Wardy (Author of “Redefining Girly”, owner of Pigtail Pals & Ballcap Buddies). Apparently, a new LEGO design must achieve sales of £106,000 to break even. At £15.99 a pop, this set needs to sell about 6,600 units – so the petition needs to reach at least that figure to show there’s a viable market for it (though the fact it achieved 10,000 public votes to get made in the first place should be enough!). So please sign and share! Anyway, well done Natalie Wreyford! It all started with your tweet.